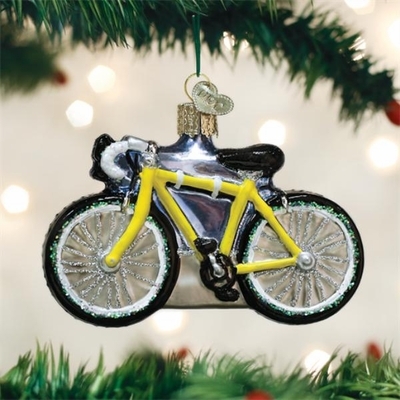 Home > Old World Christmas - Traditional Glass Christmas Ornaments > Old World Christmas Glass Ornament - "Road Bike"
Road bikes are built for traveling at high speeds on paved roads, most commonly used for long distance travel and training. These lightweight bicycles are also used for racing and fitness training. Bicycling is a great way to stay healthy and fit, and enjoy the great outdoors.